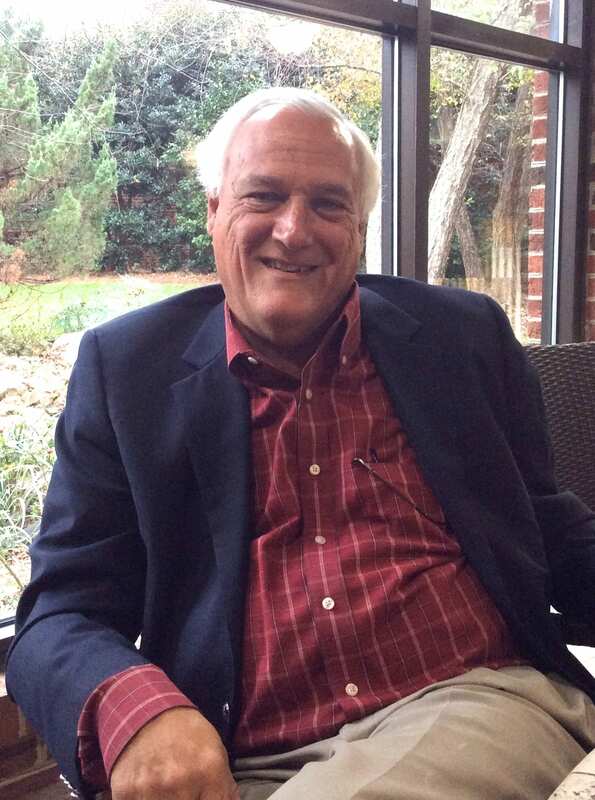 Our Springmoor Board of Directors Series continues as we introduce Bill Baxley. He has followed his passions along his career path and now into his retirement as he continues to learn new skills with mentors and tools along the way. His family thought he would follow in his father’s footsteps at their restaurant. He planned to attend North Carolina State University and study food science. Baxley’s Restaurant was a popular Raleigh establishment for many years. Starting downtown and then moving to Hillsborough Street, to be close to the Wolfpack crowd, it has served many delicious meals. The restaurant business is where he thought he would be after graduation. Bill was sure this would be his path until pharmacy peaked his interest. Bill recently retired after a 48-year career with Kerr Drug. After his first year at UNC, he knew he needed a summer job, preferably in a pharmacy. With a call to Banks Kerr, he was put in touch with the East Gate Kerr Drug pharmacy. He stopped by the Raleigh store on Falls of the Neuse to fill out an application. Dressed to impress in his coat and tie, he was ready for his first interview. The manager only had one question, “When can you start?” He never filled out an application and, from that day on, he has never applied for a job! He began his career at Kerr Drug in Cameron Village as a stock clerk and continued his studies in Chapel Hill. He married his high school sweetheart, Sandra, in his third year at UNC. He laughed when he said the first time he met her he asked her to marry him. That was in the eleventh grade! 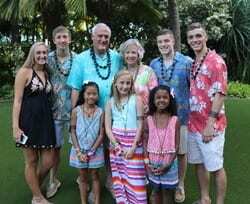 It has now been 48 years and their family has grown to include two daughters and seven grandchildren. Bill and Sandra were both born and raised in Raleigh. Bill attended Hugh Morson Junior High School and then Enloe High School in its first year of operation. After his college graduation, he continued his career with Kerr Drug as a pharmacist. After five years of filling prescriptions and watching the store evolve, he knew from his early days as a stock clerk, the rest of the store was as important to the success and growth of the company as the sales from behind the pharmacist’s counter. His passion for merchandising led him into a new career path once again. As Senior Vice President of Merchandising and Marketing for Kerr, he worked towards developing and enhancing the customer’s experience in store. The visual experience and technology available in today’s market continued to interest him as he grew the business. When Kerr Drug/Walgreens was sold, Bill retired and now fills his time with a passion that started in shop class at Morson. And ‘fills his time’ is an understatement. 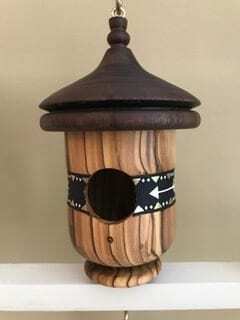 His woodturning hobby has turned into a creative new full-time job. He bought a lathe for his woodworking shop at home. As in his career, he has taken a few classes and done his homework. While exploring a woodcraft gift shop in Blowing Rock with his wife, he asked the storeowner what her best seller was. He was looking for a signature piece of his own. He had made plenty of bowls and pencil holders and was ready to try something new. She pointed to a hummingbird house and said she couldn’t keep them in stock. Bill quickly realized he could design one of his own. After a recent trip to Ireland to meet with a wood turning expert, he came back with new tips for increasing production of his bird houses as well as a new arrangement for his workshop. He is a member of the Wood Turners Guild of North Carolina and sells his houses at the North Hills Market, Holly Days and other craft shows around the area. Of course, he does balance this time with his other volunteer business obligations, his Labradoodle, Paddles, and his family’s travels. His mother lives at Springmoor and has for the past twenty years. Living in the same neighborhood, it’s easy for him to drop by most mornings to say hello and have a cup of coffee with her. Bill’s parents moved to Springmoor because of everything it had to offer. As with many in our community, knowing several families that were here combined with a wonderful list of amenities made it an easy decision for everyone. They all agree it has been the best move they ever made. With his knowledge of how things work at Springmoor, from a family’s perspective, paired with a background in marketing and finance, Bill offers a perfect combination of guidance to the Board of Directors. He has served as a Director for the past three years. He says the multitude of career experiences and the congenial spirit of the board make it a personally rewarding opportunity. As with his pharmacy career and his woodturning hobby, he is very dedicated to improving and growing the community. We know that he will help make Springmoor a wonderful place to live for all of our residents. If you would like to try your hand at a woodturning, Springmoor’s woodworking shop has a collection of lathes waiting for you. We would love to schedule a tour and show you everything that Springmoor has to offer.